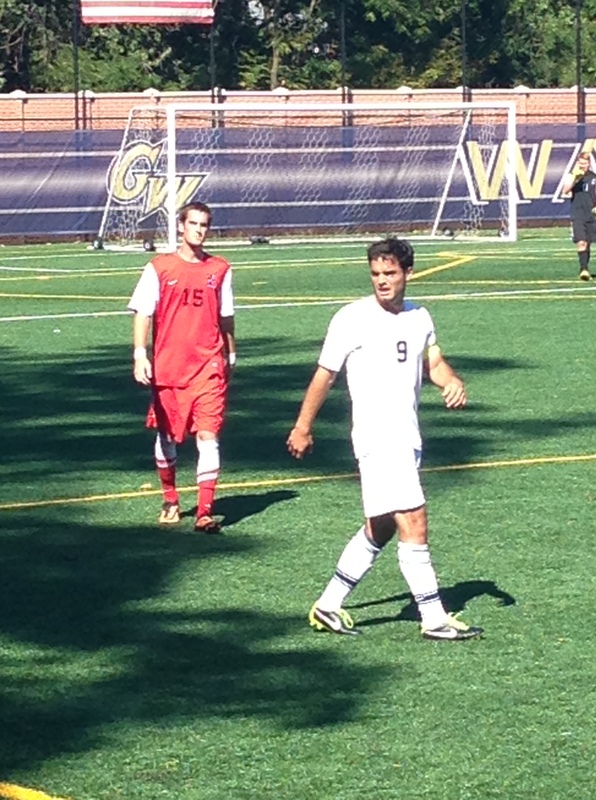 A game of contrast was marked by a dominant defense performance by George Washington in the Colonials 2-0 victory. Constant on the ball pressure, frequent steals, and excellent play by goalie Luke Farrell limited the Rams chances for shots on goal and prevented the few they managed to take from going in. The game was marked most by the aggressive style of the Colonials, as the ferocious defense combined with a constantly attacking offense snapped a three game losing skid and improved the Colonials record to 5-9. The Colonials struck relatively early on a free kick from Glen Sousa, but the most impressive display of offense came in the second half, when the Colonials missed two breathtaking leaping kicks by about an inch. One of these kicks caused a collision that stunned the packed audience. The Colonials finally put the game on ice with six minutes remaining, when Seth Rudolph juked and jived his way for a spectacular game sealing score. The Colonials will now get set to take on Massachusetts on Sunday. Kickoff is at 1 p.m. and you can listen live right here on wrgwsports.com. Seth Rudolph took a beautiful pass from Zach Abaie and bombed the ball into the left corner of the net. Rudolph’s early and brilliant goal came in the 8th minute for the Colonials and energized the fans right off the bat. Unfortunately though, the team was unable to defend that lead as UMBC stormed back to take the match 2-1 at Mount Vernon Field. Milo Kapor, who made his presence very well known in the first half, landed a penalty kick in the back of the net in the 14th minute to tie the game It was his second goal of the season. It was followed four minutes later by Jordan Becker, who took advantage of a rebound off an excellent save by Colonials goalkeeper Jean-Pierre van der Merwe and gave the visiting Retrievers the lead with his first goal of the season. After that, the Retrievers’ defense stayed put and kept the Colonials at bay for the rest of the game. GW started fast, but almost immediately felt the momentum shift to their adversaries after taking the lead. All three goals were scored within ten minutes of each other. The Colonials fought hard, but errors in communication ruined many of their chances as they only managed one shot on goal in the second half. The team started to show its frustration as the game wound down. Ross Higgins received a yellow card in the 79th minute, and Bailey Hinners received one eight minutes later. Tensions flared between the two squads as time expired and the entire Colonials team received a yellow card at the 90th and final minute. The Colonials, now 3-4-0, will stay in Washington and play their next game against the New Jersey Institute of Technology on Wednesday at Mt. Vernon Field.